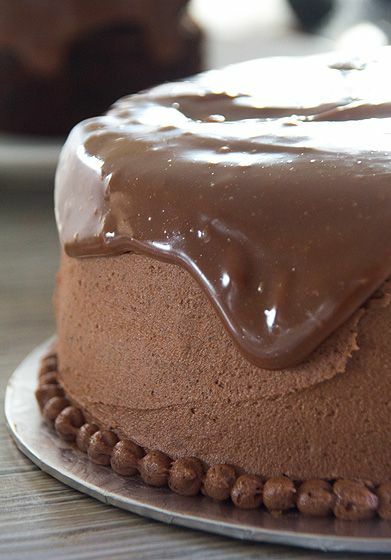 Chocolate cake with buttercream and milk chocolate ganache. Oh yeah. "Chocolate is an antidepressant, which is especially useful as you start to gain weight."